Ever since Venus and Serena Williams started playing in tennis tournaments, they've provoked strong reactions - from awe and admiration to suspicion and resentment. They've been winning championships for over a decade, pushing the limits of longevity in such a demanding sport. How long can they last? 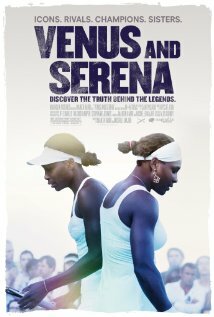 In Venus & Serena, we gain unprecedented access into their lives during the most intimidating year of their career. Over the course of 2011, Venus grappled with an energy-sapping autoimmune disease while Serena battled back from a life-threatening pulmonary embolism. Neither Venus nor Serena let their adversities hold them back. They drew their greatest strength from each other. Taglines: Discover the truth behind the legends.